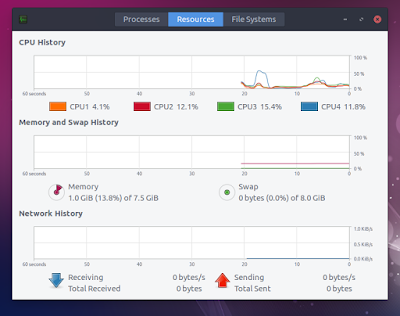 Budgie is the newest player on the arena of Desktop Environments for Linux operating systems. It is the baby of Ikey Doherty and his team. Their flagship distribution is, of course, Solus. 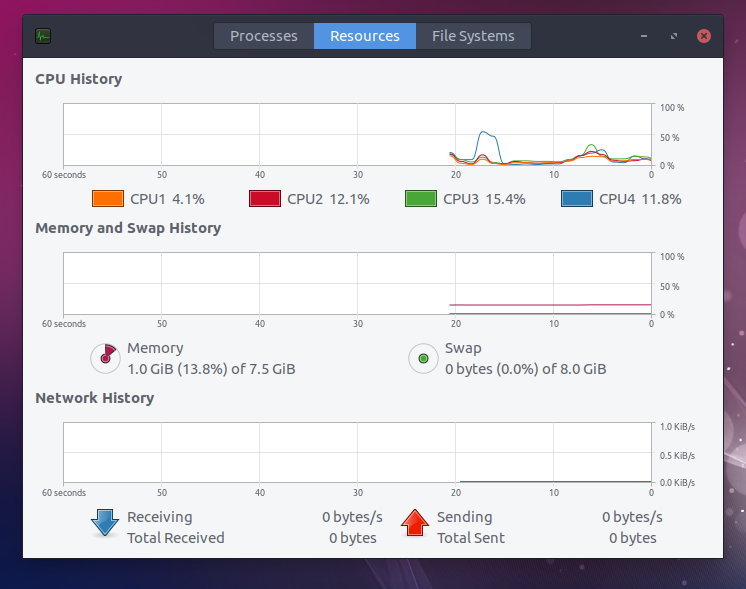 You can read my review of Solus operating system here. Unlike Canonical’s Unity, Budgie is available for other teams to use too. It is currently available for Arch, Debian testing, Manjaro and some other distributions. Some of them have Budgie in the repository, others have already prepared the special Budgie spin-offs. 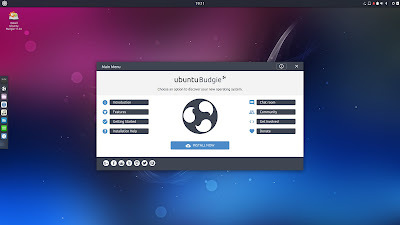 Ubuntu Budgie is the newest addition to the officially supported Ubuntu flavours. It is quite interesting how these two parts can play together. The first time they married was the Ubuntu Budgie 16.04 remix. And since 17.04 Ubuntu Budgie is officially supported by Canonical. You can download Ubuntu Budgie from one of several mirrors around the world, or via torrent. The ISO image size is 1.6 GB. I used the dd command to "burn" the ISO image of Ubuntu Budgie 17.04 64-bit to the USB stick. The USB drive is in the port of my Dell Inspirion 17 laptop. Reboot. Choose to boot from USB. Let's go! The start process of Ubuntu Budgie 17.04 is not any different from the majority of Ubuntu distributions. 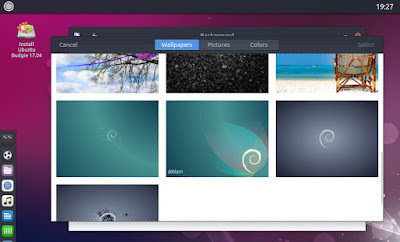 There is a splash screen with a traditional set of Ubuntu pictures at the bottom: keyboard equates to a human figure. The top part of the splash screen was blue. I'm not sure if it was a bug or intentional, but never mind. 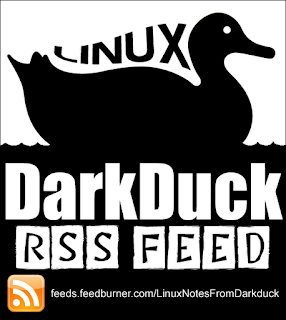 In the centre of the splash screen there is a Budgie logo on the place where you can usually see the Ubuntu logo. Soon after that, a window appeared with the usual choice between "Try" and "Install". Of course, I decided to "Try" Ubuntu Budgie 17.04 Live version. After I made the choice, the screen became black and remained so for a few seconds. I was a bit scared about the operating system that time, but soon my worries had gone and a default desktop appeared. The wallpaper of Ubuntu Budgie 17.04 is in blue and purple tones with some lines and dots on it. If you don't like it, you have a choice of about a ten alternatives, some of them wearing... drums... Debian logo and even text! Ergh? The panel at the top of the screen is black. On the left of that panel there is a white circled dot intended to be the menu button. You can also call up the menu by pressing the Super (Windows) key on the keyboard. Clocks are in the middle of the panel while notification area is on the right. This notification panel contains indicators for network, volume, bluetooth and battery. There is also a "Switch off" button. In addition to these usual suspects, you can find a couple of unique Budgie-specific buttons here: notifications and applets. Both of them call up the panel that slides from the right and has exactly the same tabs. There is also a Budgie configuration cogwheel button on that right-sliding panel. It allows you to change many components of the Budgie desktop, for example move the panel from top to bottom of the screen, change fonts, icon theme and so on. There is another pop-out dock on the left of the screen that appears when you move the mouse to its area. This dock contains shortcuts to some applications like Chromium browser, Terminal, file and software managers, Rhythmbox player and some more. When you start a new application, the icon of it appears on that dock too, and you can stick that icon by right-clicking it and selecting the corresponding item in the menu. There is no "Show desktop" button or virtual desktop switch anywhere in the default desktop. The freshly booted Ubuntu Budgie 17.04 Live 64-bit took 1 GB of memory. It is slightly less than MATE and GNOME flavours of Ubuntu that I tried recently, but still too much compared with Kubuntu. It is even more than the official Budgie operating system Solus used. As you can see yourself from the picture and from my description, Budgie rides on ideas of another Desktop Environment: GNOME 3. Of course, there are some unique features too. The most obvious link to GNOME are the clocks in the centre of the top panel and running applications listed on the left panel-dock. But unlike GNOME, Budgie allows you to minimize and restore the windows with icons on the window title bar, and it gives you a real menu with sections instead of "Activities" mode. I would say that Budgie could be a better choice for me, if I only had a choice between this desktop environment and GNOME. In the following sections I'll come back to this comparison a few more times. Since Ubuntu Budgie 17.04 is still Ubuntu in the core, there were no difficulties for this operating system to recognise and configure my wireless network card. I only had to select my home wireless network and type in the password. 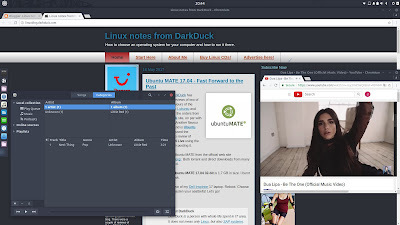 The connection process was much simpler in terms of the number of clicks, compared to Ubuntu GNOME. Files, the file manager in Ubuntu Budgie 17.04, has the option to mount the network folders. I used that function to navigate and connect to my home network drive. And here I had a very pleasant experience. The partition mounted that way was accessible for both LibreOffice file saving and for attaching the files to GMail. The latter was not available in other Ubuntu 17.04 flavours I tried. Maybe that's a feature of Budgie, maybe that's a feature of Chromium browser, I’ll answer that question a bit later. I was pleasantly surprised anyway. English US is the default layout in Ubuntu Budgie 17.04. If you don't like that, or want to add more, there is a Region and Language part of the Settings panel, just like in GNOME 3. The configuration process is absolutely the same as for GNOME, with the switch hotkey combination being configured in a different part of the Settings panel. Moreover, the issue with the use of "technical" keys only in the switch hotkey combination is the same too. I couldn’t use Ctrl-Shift to switch between the layouts. Ubuntu Budgie 17.04 comes with a small set of applications available out of the box, even though the ISO image size is quite large. Chromium 57 is the default and the only browser. Yes, you read that right. Ubuntu Budgie sports Chromium browser instead of Canonical-standard Firefox, and I welcome that difference! Otherwise Geary email client and Transmission torrent client are the only components of the Internet section. There is no Internet messenger, IRC chat etc, the usual suspects in many other distributions. LibreOffice 5.3.1.2 makes the largest part of the Office menu section. There are almost all LibreOffice components, apart from Base. Additionally, there are Calendar and Contacts applications in the same menu. There is a dedicated menu section for Science with the only component - LibreOffice Math. Ubuntu Budgie 17.04 comes with 4 simple games. The Graphics section contains LibreOffice Draw, Photos image viewer and Simple Scan. There is no editor available. The Screenshot utility is included, but it is listed elsewhere. Talking about this Screenshot utility, it is not linked to the PrintScreen button by default, despite that feature being configured in the Settings panel. That is a bit annoying. The Sound & Video menu section includes Cheese Webcam booth and two players: GNOME MPV, Rhythmbox. Of course, there are many small utilities and administration tools in Ubuntu Budgie 17.04. Just to list some: GParted, gedit, calculator, Maps, Terminal. The software management tool in Ubuntu Budgie 17.04 is called simply: Software. When you start it for the first time, it comes up empty with a note in the middle: Software catalog is being downloaded. It took few minutes to load the repositories. Once the repositories loaded, I tried to use the Software tool. The search for Firefox brought me... Iceweasel. If you remember, once upon a time that was the de-branded Debian version of Firefox. But even Debian came back to Firefox now. Why did it appear in an Ubuntu distribution - I have no idea. Where is Firefox itself in that software management utility - I have no idea either. To confirm my findings, I installed Firefox manually with the sudo apt-get install firefox command. The installation went smoothly, as you can expect from the good ol’ command line utility. The search for VLC brought me 2 editions: daily and Ubuntu standard 2.2.4. You can configure repositories right in the Software tool. For that, you need to click the application icon in the top-left corner and select the Software & Updates menu item. Alternatively, the very same item is in the Preferences section of the menu. Just to try the installation process, I installed the simple 3D Chess game. The installation went correctly, and the application started successfully. As long as I installed Firefox, I decided to confirm my idea about the attached network drive. The issue with the use of network directory is Firefox-specific. I could not see that directory in the Firefox file browser, while it worked perfectly in the next window of the Chromium browser. As I mentioned above, there are two multimedia players available in Ubuntu Budgie 17.04: Rhythmbox and GNOME MPV. Rhythmbox is the default for music files playback. Unfortunately, it did not start playing automatically. It asked me to install necessary plugins instead. As in the Ubuntu GNOME version, there were 3 packages listed on the new window: gstreamer-plugins-ugly, gstreamer-libav and gstreamer-fluendo-mp3. Only the first of them was selected, and I followed that recommendation. A few more packages were listed as dependencies as I continued with the installation. The installation process was quick, and Rhythmbox started playback in just few seconds. Here I need to add some notes about the Budgie behaviour. If you close the Rhythmbox window, it does not stop the music playback. You will not find the controls under the Volume indicator on the notification area. Instead, you need to call up the Applets panel (the one that slides from the right) where the player will appear. 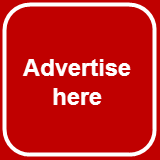 YouTube, 1tv.ru, BBC iPlayer - all of them played their video content too without any hassle. Generally speaking, Ubuntu Budgie 17.04 left a nice impression on me. You can order your own copy of this operating system here. It felt solid, fast and stable. There were no glitches apart from the screen-related issue at the very beginning of the boot process. There were issues here and there of various severities. If Debian wallpapers in Ubuntu-based distribution can only cause a smile, the software search issues in the default package manager are something that should be really dealt with. Of course, there will be some learning curve for anyone starting to use a new desktop environment, but generally speaking it will not be too steep for people who come to Budgie from Cinnamon or Xfce, or even from Windows. The only truly distinct feature of Budgie is the sliding panel on the right. Other components are more or less common. The most important question however remains the same for the future of Ubuntu Budgie flavour as for the future of Solus operating system: how long will it stay? Will the Budgie and Solus team have enough strength to continue the project they started, and for how long? Nevertherless, if Canonical picked up that flavour and made it official, the hopes are high... What do you think?